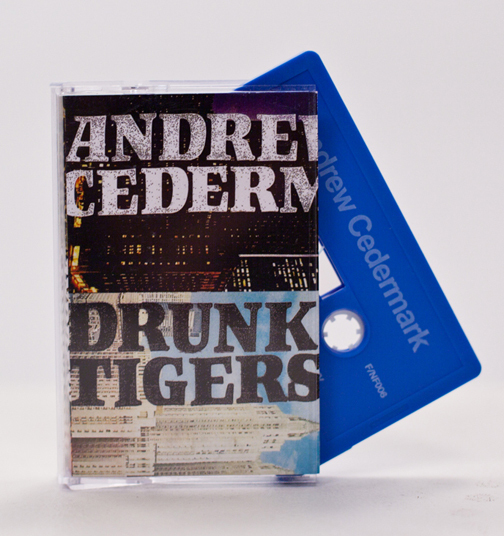 This split cassette celebrates two of Charlottesville, VA's finest; Andrew Cedermark and Drunk Tigers (defunct). 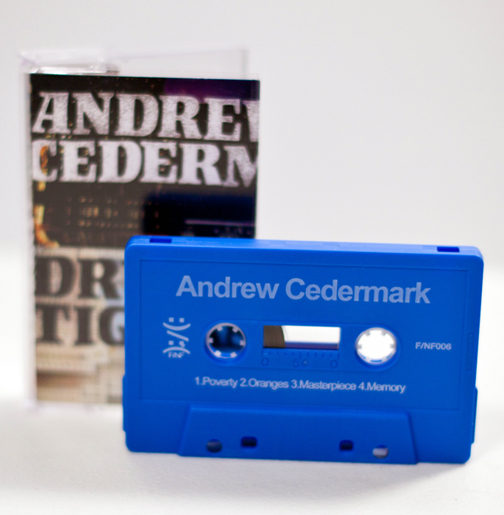 Ex Titus Andronicus member Andrew Cedermark fills his side of the tape with a whirlwind of hazy fuzzpop with a folk tinge that keeps you hooked throughout this sparsely beautiful adventure for your ears. 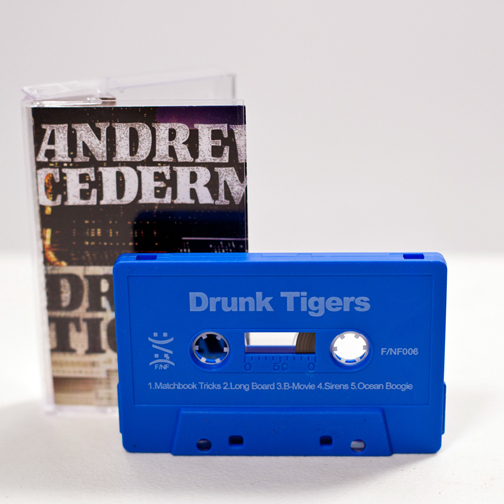 On the flip side, Drunk Tigers blend intimate rock swells with direct garage rock hooks full of grit and pop complete with replacements-esque lead vocals that are occasionally accompanied by upbeat shouts from the rest of the band.